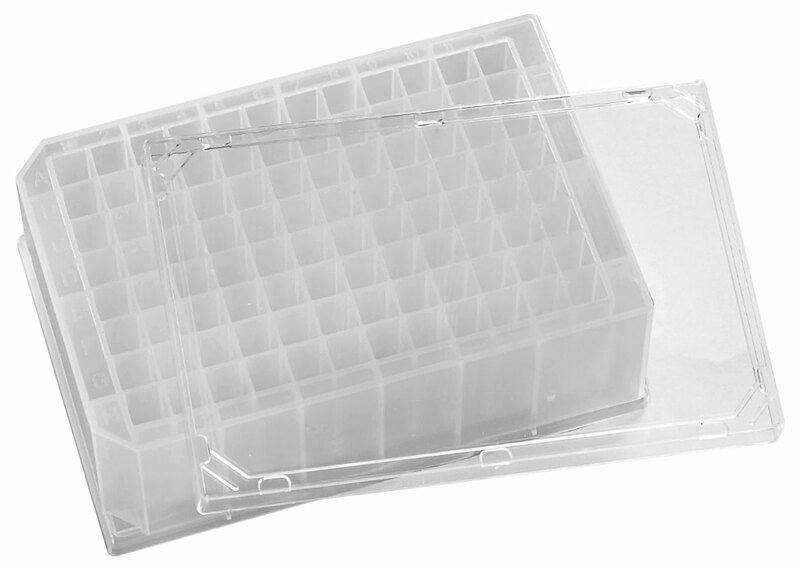 The extended range of BactiGrowth specially packaged plates is designed to enable high-yield growth of bacteria, yeast, mammalian or insect cell lines. Precisely manufactured to conform to the automation-friendly ANSI/SBS format, BactiGrowth plates are available in plate formats from 24- to 384-well, and well volumes from 300 µL to 10 mL—suitable for most cellular growth applications. Produced under class 10,000 cleanroom conditions from ultra-pure grade polypropylene, every batch of BactiGrowth plates is rigorously tested to validate their contamination-free status ensuring reproducibility and maintaining customer confidence in the cells you grow. BactiGrowth plates are supplied in packs of five plates with tight-fitting lids sealed in a sterile polymer bag.